The award is based on merit and given to members who are recognized at the highest level and have reached the Pinnacle of their Professional Carrier and whose efforts reflect the School’s core values. The Wesley College Old Boys’ Union Colombo has instituted the “DOUBLE BLUE LIVING LEGENDS”AWARD to confer recognition and honour upon distinguished old boys who have excelled in their respective professions with National/International acclaim, bringing honour to their Alma Mater. The objective of Double Blue Living Legends of Wesley College is to recognize its alumni who have made an outstanding contribution to their respective Profession and/or the Society. The award is based on merit and given to members who are recognized at the highest level and have reached the pinnacle of their professional careers and whose efforts reflect the school’s core values. The recognition of such persons, will stand to benefit the recipients individually, and will inspire present and future students of Wesley. 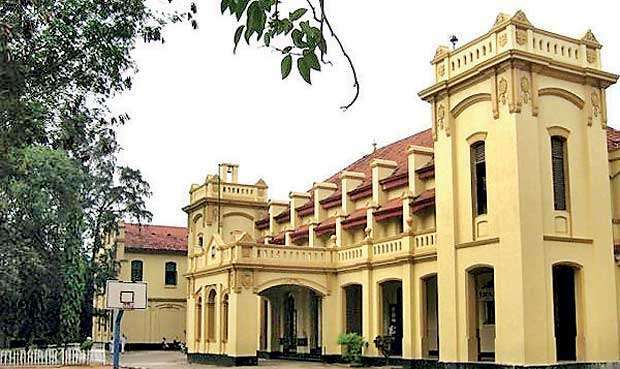 Wesley College Colombo is a premier Christian School in the country and as an educational institute has nurtured distinguished Sons of our nation and the World. The OBU Colombo is taking steps to make this event a night to remember in the history of the OBU and the College. This Prestigious Gala Awards Ceremony will be held on the 3rd of November 2018 in the Wesley College Hall, which holds nostalgic memories to all Wesleyites, who have walked through its hallowed portals – thereby making it the perfect ambience to celebrate the contribution of Distinguished Recipients of the Double Blue Living Legends Award, in recognition of their services to the nation and the world. Nominations for this award could be submitted by any old Wesleyite, if the criteria for selection spelt out on our website are met. The nominator and the nominee could be either resident in Sri Lanka or domiciled abroad. Nominations should be sent to –Mr Fowzil Nawaz – Wesley OBU Secretary obusec.wesley@gmail.com before the 31st of July. Nominations close on 31st July, 2018. Moratuwa Uni. starts Aviation Engineering Dept.